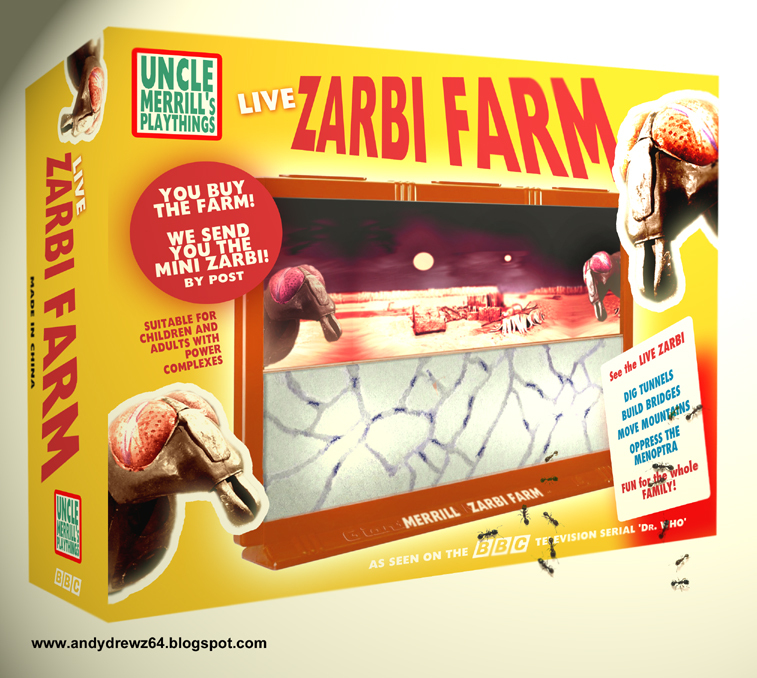 Andydrewz's Pages: An Real Live Zarbi Farm - for Christmas! It's that time of the year when the thoughts of the young - and old - Doctor Who fan turn to what they want at the top of their Christmas present list. I present the Official Real-Live Zarbi Farm!